Celebrate being an art teacher or give a fun gift to the school art teacher you know! 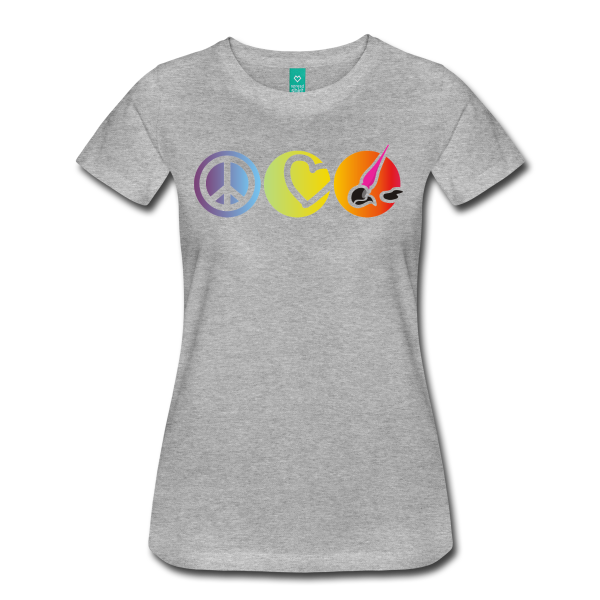 This Peace, Love, Art design is just right with a whole spectrum of colors. 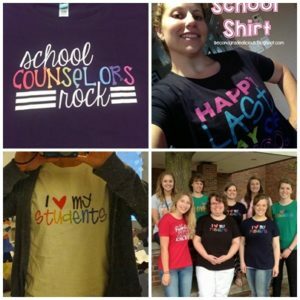 This teacher tee comes in 10 fabric colors making it ideal to choose your school’s colors so you can wear it on spirit days. Celebrate the art of it all with a simple no-words design. This digital print design shows, “Peace, Love, Art.” A super colorful design with three symbols that is ultra cute and comfortable to wear all school day long! This short sleeve crew neck shirt is soft and stretchy and a little longer than a standard tee.